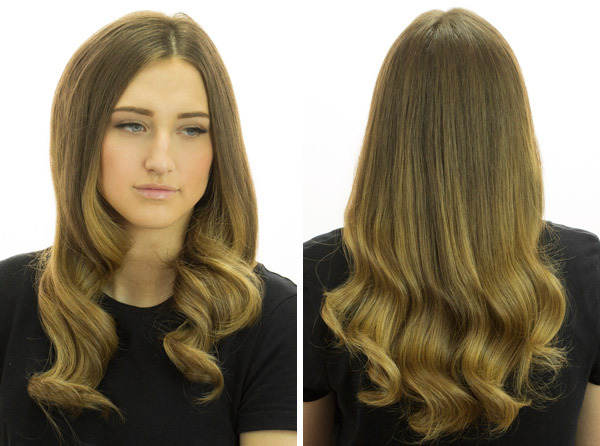 Three looks created using the GHD platinum styler. 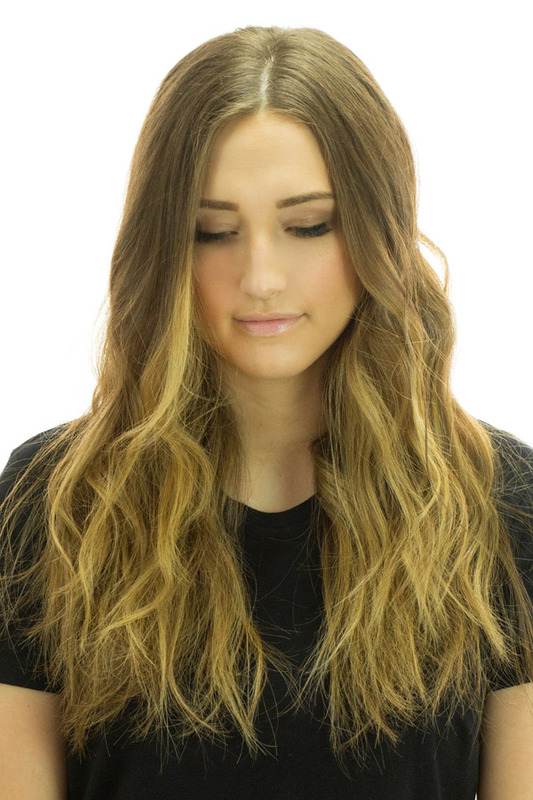 Hold the styler in at the roots, horizontally. 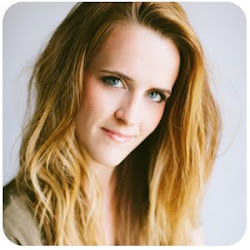 Close the styler and rotate it 360 degrees, then pull slowly down through the ends, creating a bouncy curl. 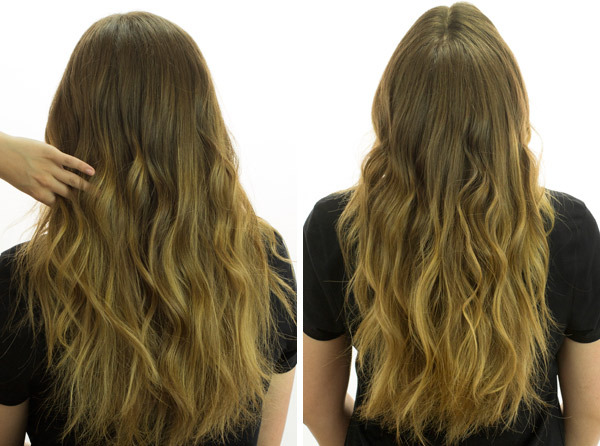 curl all of the hair in the same direction. When you curl around the face, only curl from the chin level and below. Once the hair is curled, brush it softly with a boar bristle brush. Hold the flat iron at the roots, at a diagonal angle. Rotate it 360 degrees, then pull through the ends. Drop the hair out of the flat iron before you reach the ends, to give the ends a straighter look. 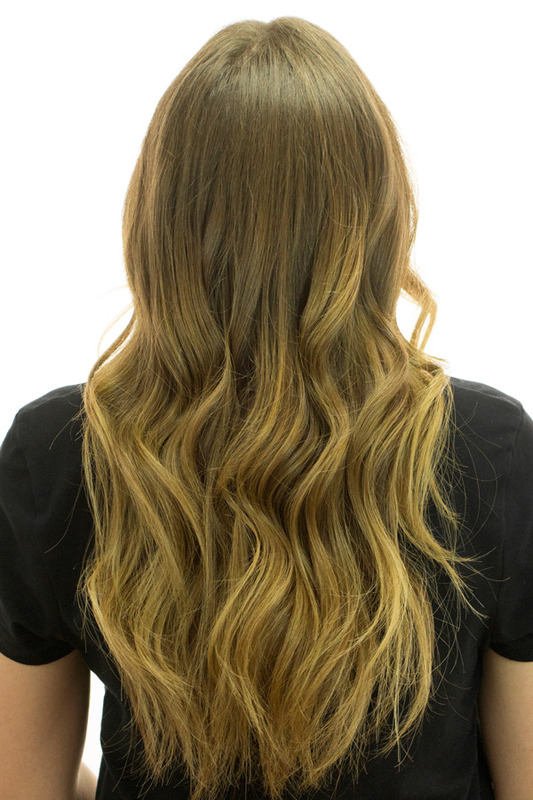 Run your fingers through the hair to soften the curls. 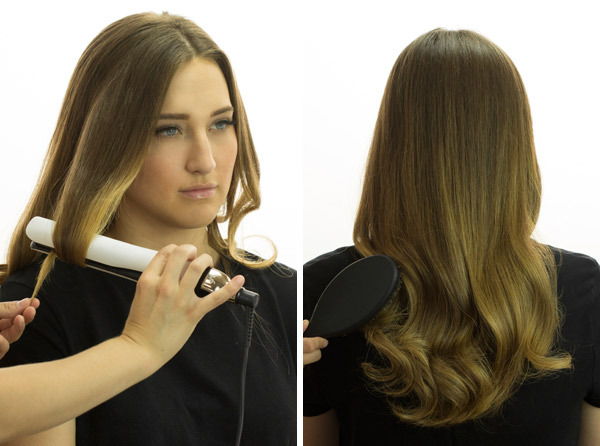 Hold the flat iron at the roots at a vertical angle. Close the flat iron and rotate it 180 degrees, then pull the flat iron down half way through the hair. Drop the hair out of the flat iron, and pick it up again, but this time curl the last half of the hair in the opposite direction, breaking up the curl pattern. 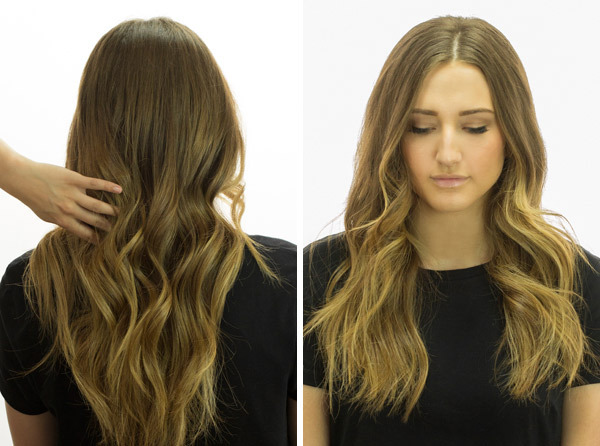 Run some spray wax through the ends for a beachy look.